One of Unbounce’s core values is courage. We want this value to be manifested across the board, including in how our teams evolve. Very often, companies are stuck in an organizational status quo for fear of what could happen if people would start moving between teams or, even scarier, between roles. But not us! We’re convinced that if you’re awesome in one place, there’s a great chance you’ll be awesome in another one, especially if you decide what this new position will be! And so far, we haven’t been proven wrong. This is the story of Jacquelyn, Mark and Johnny, who have recently transitioned to junior software developer roles. This may sound like an oddity in the software industry. Indeed, in traditional companies, people generally transition out of development positions towards managerial roles. These three individuals followed the opposite path: with sheer talent, lots of hard work and the support and mentoring of their team leads, they’ve successfully attained their goal. I’ve interviewed them recently to better understand their motivation and what has proven instrumental to the success of their transition. Read on to find out their answers. Q: What was your story at Unbounce before becoming a software developer? 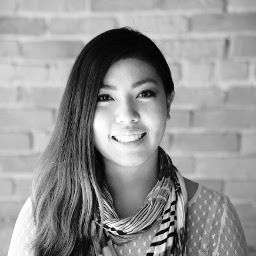 Jacquelyn: I was hired into Unbounce to help with building out Customer Success in the company. Not long after become a CS Manager, I transitioned into a QA role since my interests were always in the product itself. Weeding out as many bugs as I could was so much fun and also really challenging, at one point I QA’d for 3 different areas/teams of the app. The more time I spent in QA, the more curious I got with how things were created or fixed so my team let me try some stuff out as a programmer – it didn’t take long until I realized this is the goal, this is what I want to do. Software developer is my 3rd role in Unbounce in 3 years, and this is where I want to grow. Mark: I spent a little over a year as a Technical Support Specialist on the Customer Success team. Johnny: I was part of the Customer Success team as the technical team lead. Q: Why did you want to transition to software development? Jacquelyn: Two main things: I liked the challenge of figuring out a problem and no matter how difficult, there’s always sense to make out of it and something to learn. And speaking of learning, that’s the other thing. I love the idea of getting into something where I can always be learning and have that be a part of what I do on a daily basis. The year in CS had also given me a pretty deep understanding of our customers and their workflows, concerns and feature requests, and I began to realise that this knowledge and understanding was something extremely valuable that I could bring with me to the engineering team. I also knew that moving into development would be a great way to make sure that I kept learning every day. 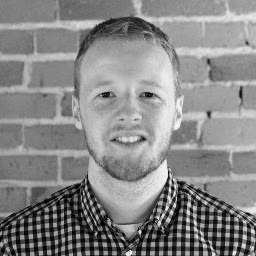 Johnny: I started learning software development on my spare time before joining Unbounce which was what sparked my initial interest. In my previous role in CS I wrote up scripts for customers and participated in dev related events like ‘Ship it Day’ where I was able to contribute directly to our product. The more I got to do these code related projects, the more it solidified my ambitions to join the development team. Q: What has helped you most during this transition? Jacquelyn: Definitely the support of my team. They let me have the time and space to try and figure things out, but they’re also there when I need them, if only for a sanity check. In addition to that, I’m just lucky that I work with a lot of great people who want to help me learn, there’s never a shortage of recommendations for online courses I should check out or even just topics that I should read up on to help me improve as a developer overall. Mark: I had a slow and steady transition – for a couple of months I just worked with the Builder team on Fridays, and then for a few weeks I worked with them every afternoon. The team was incredibly welcoming and more than happy to answer my questions throughout. The Builder team in particular really believes in pairing up to tackle problems, so I was able to spend a lot of time working through issues one-on-one with the other developers on the team, and I learnt a lot that way. One thing that I also appreciated was that I was trusted to work on ‘real’ issues from day one. I’m definitely someone who learns by doing, so being able to dive in like this was really beneficial to me. 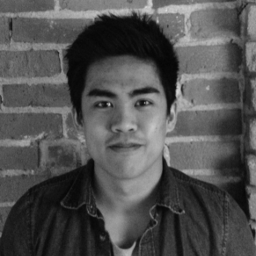 Johnny: Being in CS and already part of the Unbounce team was a huge help. It gave me my initial exposure into our code base and product. Most of all everyone on the team has been great at answering any questions and providing guidance. Q: What was the most challenging aspect of this transition? Jacquelyn: The most challenging aspect was, and still is, trying to figure out if I’m actually getting better at what I do. I feel like my previous roles could all be quantitatively assessed but not with development. Spending full days trying to figure something out but not having written a thing can be pretty scary. I’ve been told that one of the easiest ways to tell if you’re getting better is to look back at your own code some time later, but I don’t think I have enough of a repertoire to look back at yet. Mark: The Builder codebase is particularly large and complicated, with lots of legacy code, so it took a while before I really got a feel for it as a whole. I did have the benefit of being familiar with how the builder works from a user’s perspective, though, so that helped me get up to speed – along with lots of help from coworkers and plenty of working-it-out-as-you-go. Johnny: Since I’ve never worked as a software developer before the scale of our app was larger than anything I’ve ever worked on. So getting familiar and learning how all the little pieces fit together was a fun but challenging experience. Mark: It’s really great to work for a company where this kind of progression is possible, and I’ve been hugely enjoying my time on the engineering team so far! Johnny: Loving every moment so far!